Bon Appetit! Food and Wine Pairings 101 – TAM Card® Nation in Vegas! 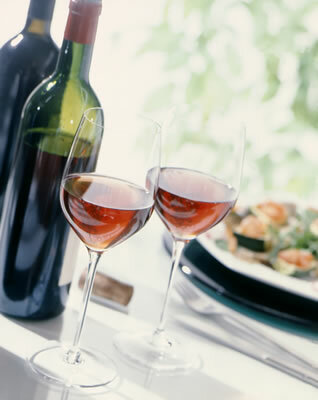 Match the texture of the food with the texture of the wine. If you’re going for a hearty or rich meal, make sure to pick a robust wine that will hold up to the textures and the flavors, and vice versa (Real Simple). When choosing a wine, take the sauce and preparation into consideration, not just the meat. Many people rely only on the meat when choosing the wine and stick with the old standby that white wine goes with white meat and red wine with red meat. However, the sauce is often the dominant flavor in a dish, and a buttery, smooth chardonnay can pair beautifully with pork or steak, when it’s finished in a cream sauce (Wine Country Network). Always follow personal preferences! Ask your guests what their favorite wines are: some people just don’t like red wines, wines from a particular region, etc. Spices, aromas and flavors appeal to people in different ways, so help your guests to follow their taste buds’ preferences to find something they will like. Another suggestion for some wine education, and a helpful tool to boot, is Natalie MacLean’s Wine & Food Matcher. Pop in any combination of dishes and/or wines (or cocktails! ), and the tool will make suggestions for pairings. A little help goes a long way, and now you’re well on your way to feeling confident in making suggestions for tasty and memorable combinations. What are your favorite food and wine pairings? Pingback: Increase Your Earnings with Suggestive Selling and Upselling | TAM® Nation in Vegas!